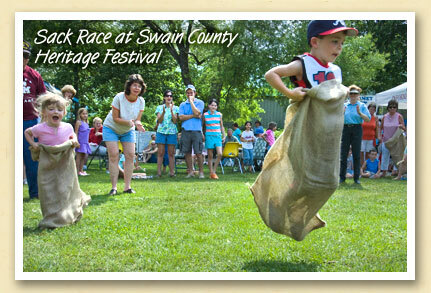 What’s more ‘heritage’ than an old-fashioned sack race? No wonder it’s a highlight of Swain County’s annual Heritage Festival held Memorial Day weekend. If you enjoy the nostalgia of small town street festivals, come to the North Carolina Smokies July 4 weekend for Bryson City’s annual Freedom Fest. The day includes a 5K footrace, pet show, kids area, “tater” cook-off, arts and crafts, and live entertainment. The festival concludes with the largest fireworks display in the Smokies at 10 pm.